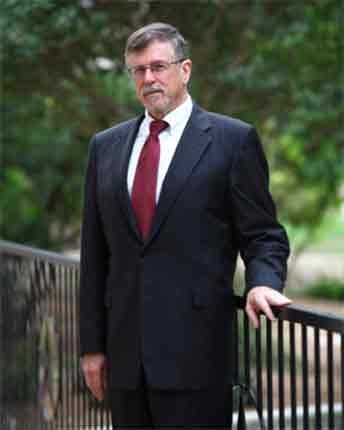 Since 1974, Mr. Stratton has provided clients with aggressive representation that has earned him a representation as a top tier litigator amongst his peers and courts throughout Texas. A significant focus of John’s practice has been the representation of businesses and individuals in civil litigation. Although a majority of John’s early representation has been on behalf of plaintiffs, in recent years John’s expertise and tenacity has been recognized by businesses and individuals alike and he has defended them in both state and federal court disputes. In over 37 years of practice, John’s Representative clients have included small businesses, utilities, banks, police officers, firefighters, cities, contractors, suppliers, law firms, technology entrepreneurs, small business owners, homeowners, photographers, auto supply stores, wrecker drivers, lottery winners (the 3rd largest Lotto winners in Texas history), and a million-dollar game show winner. Mr. Stratton obtained 6-figure judgment for a small contractor against a major residential homebuilder for breach of contract, damage to credit reputation, and interference with business relations arising from the builder’s refusal to pay the contractor. Mr. Stratton obtained 6-figure usury judgment for a small contractor against a major national electrical supplier arising from usurious interest charges on an open account. Mr. Stratton obtained a multi-million dollar settlement against a national homebuilder for a small Austin neighborhood for violation by the builder of the neighborhood’s architectural standards. Mr. Stratton seized multi-million dollar apartment complexes belonging to a group of disreputable out-of-state real estate partnerships to compel payment by the investors to small contractors the partnerships refused to pay. Mr. Stratton recovered a brand new home free of change for a retired couple from a statewide siding installer for faulty siding installation that rendered the original home uninhabitable. Mr. Stratton sued a national travel telemarketer for violations of the Telephone Consumer Protection Act, resulting in a 5-figure judgment and then secured a settlement in satisfaction of the judgment. Stratton has superior experience … and brings with him a very good reputation as a lawyer. In the instant case, the time and labor required was extreme ….. Novel and difficult questions of law were involved, including the domestication of a Judgment, the procurement of a Turnover Order and the rare action of threatening a County Sheriff with contempt and the loss of his job. The skill level required for such legal services is quite high…"